I tried Kusudama origami flower from golden paper which is used for packing gifts. As shown in step 12 you , you have to fold five piece and then glue them together as show in the last row. These flowers are used to decorate Christmas Tree, photo frames and gift packing. 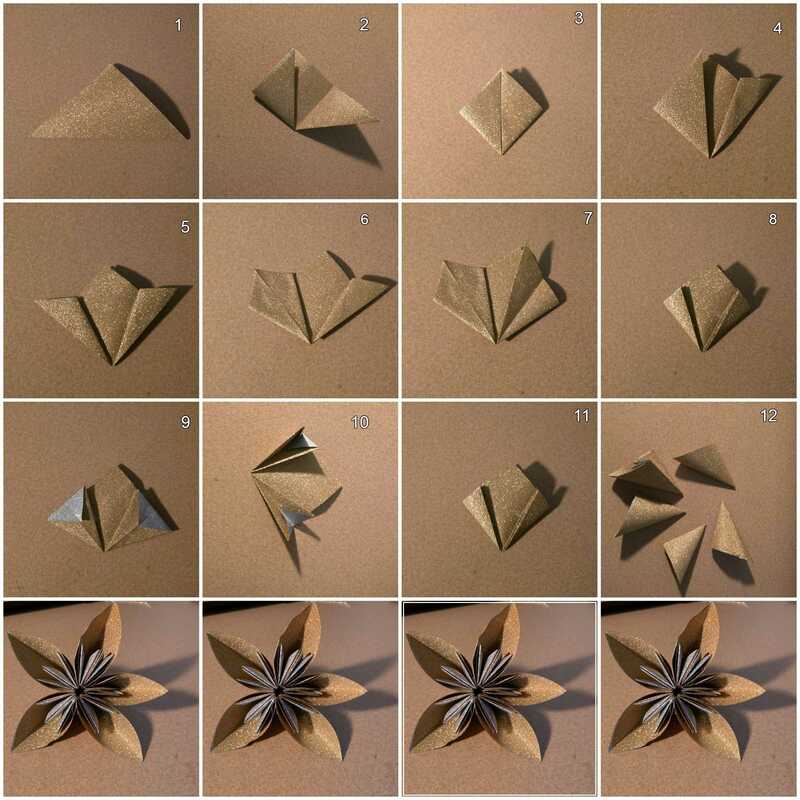 Interesting thing – Origami is a good mind development exercise for kids too!! Let’s fold some paper and share your trials with us.